Total Sales for Summit County: Summit County sales are down 8% for 2018 over 2017. October was our strongest sales month, followed by August. Average prices for 2018 are up 9% from the average prices of 2017. The average days on market was 51 days in 2018, down from 62 days in 2017. In 2018, 33% of Summit County sales were in the Breckenridge area. 47% of buyers are from the front range, 22% are locals (a good number of these are retirees moving to the county), and 31% are out of state buyers. 29% of all sales were cash transactions. Based on the last list price of the properties sold January through December 2018…. $200,000 to $400,000 is NO LONGER the hottest part of the market with 434 properties sold. $400,000 to $600,000 had 452 solds. $600,000 to $800,000 had 344 solds. $800,000 to $1,000,000 had 229 solds. $1,000,000 to $2,000,000 had 300 solds. $2,000,000 to $3,000,000 had 63 solds. There were 18 properties that sold for over $3M, including 5 that sold for over $4M, with the highest sale of the year being $4,700,000. One of my favorite stats to review is the number of sales per year since 2004. We have a steady market (and anything is better than 2009). 2016 —1857 solds There was a lack of inventory in 2016. 2017 —1984 solds This is the highest number of sold properties since 2007. Single Family Sales: The number of Single Family home sales is down 5% in 2018 over 2017. The aver­age sales price has gone up 5% in 2018 over 2017. The average number of days on market has gone from 261 days in 2015, to 106 days in 2016, to 96 days in 2017, and is now 74 days in 2018. Condo and Multi Family Sales: Condo/ Multi Family sales are up 11% 2018 over 2017. The average sales price has increased 12% in 2018 over 2017. Average days on market was 71 days in 2016, 48 days in 2017, and is 42 days in 2018. Land Sales: The number of lots sold in 2018 was 180. Many of these sales were South of Breckenridge. The average price is up 23% in 2017. The average days on market was 710 days (not a typo) in 2015, 340 days in 2016, 273 days in 2017, and 263 days in 2018. Total Sales for Summit County: Summit County sales are up 6% for 2017 over 2016. October was our strongest sales month, followed by August. Average prices for 2017 are up 17% from the average prices of 2016. The average days on market was 62 days in 2017, down from 81 days in 2016. In 2017, 37% of Summit County sales were in the Breckenridge area. 46% of buyers are from the front range, 22% are locals (a good number of these are retirees moving to the county), and 32% are out of state buyers. 32% of all sales were cash transactions. Based on the last list price of the properties sold January through December 2017…..
$200,000 to $400,000 is ALWAYS the hottest part of the market with 518 properties sold. $400,000 to $600,000 saw 469 solds. $600,000 to $800,000 saw 362 solds. $800,000 to $1,000,000 saw 217 solds. $1,000,000 to $2,000,000 saw 263 solds. $2,000,000 to $3,000,000 saw 60 solds. There were 14 properties that sold for over $3M, including 4 that sold for over $4M, 1 that sold for over $5M, and 1 that sold for over $6M. Single Family Sales: The number of Single Family home sales is up 13% in 2017 over 2016. The average sales price has gone up 15% in 2017 over 2016. The average number of days on market has gone from 261 days in 2015, to 106 days in 2016, and now 96 days in 2017. Condo and Multi Family Sales: Condo/ Multi Family sales are up 3.5% 2017 over 2016. The average sales price has increased 15% in 2017 over 2016. Average days on market was 71 days in 2016 and is down to 48 days in 2017. Land Sales: The number of lots sold in 2017 was 184, compared to 133 sold in 2016. Many of these sales were in Silverthorne. The average price is down 6% in 2017. There are not a lot of great lots left that are below 11,000 feet and are easily buildable. The average days on market was 710 days (not a typo) in 2015, 340 days in 2016, and 273 days in 2017. Total Sales for Summit County: We currently have about 689 residential units for sale in all of Summit County which is higher than 2 months ago. Residential sales in Summit County from January through August 2017 are up 9% over the same months in 2016. Average prices for 2017 are up 16% from the average price of residential sales in all of 2016. The average days on market for all sales is down to 66 days. 38% of Buyers are from the Front Range, 32% are from Out of State, and 30% are Locals and Retirees. 33% of transactions were cash which is fairly normal. Properties are selling at 97.86% of their [final] list price. Based on the last list price of the properties sold January through August 2017..
$200,000 to $400,000 is ALWAYS the hottest part of the market with 339 properties sold. $400,000 to $600,000 had 262 sales. $600,000 to $800,000 had 208 sales. $800,000 to $1,000,000 had 127 sales. $1,000,000 to $2,000,000 had 169 sales. $2,000,000 to $3,000,000 had 35 sales. And 10 properties sold for over $3,000,000 YTD, 4 of them for over $4M. Single Family Sales: The number of Single Family home sales for January through August 2017 is up 17% over the same months in 2016. The average sales price has increased 20% in 2017 year to date over the average price of Single Family homes in all of 2016. The average days on market for Single Family homes is down from last year to 111 days. Condo and Multi Family Sales: Condo/ Multi Family sales for January through August 2017 are up 7% over the same months in 2016. The average sales price is up 12% year to date in 2017 over the average Condo price in all of 2016. The average days on market for Condo/ Multi Family sales is still a speedy 49 days! Total Sales for Summit County: Summit County sales are down 4.5% for 2016 over 2015. September was our strongest sales month, but November had the highest sales volume. Getting appraisals in a timely manner was a challenge this selling season. Average prices for 2016 are up 6% from the average prices of 2015. The average days on market was 80 days in 2016, down from 221 days in 2015! In 2016, 46% of Summit County sales were in the Breckenridge area. 40% of buyers are from the front range, 26% are locals (a good number of these are retirees moving to the county), and 34% are out of state buyers. Based on the last list price of the properties sold January through December 2016…..
$200,000 to $400,000 is ALWAYS the hottest part of the market with 609 properties sold. $400,000 to $600,000 saw 466 solds. $600,000 to $800,000 saw 299 solds. $800,000 to $1,000,000 saw 157 solds. $1,000,000 to $2,000,000 saw 189 solds. $2,000,000 to $3,000,000 saw 30 solds. There were 11 properties that sold for over $3M, including 2 that sold for over $5,000,000. 2016 —1857 solds There has been a lack of inventory in 2016. Single Family Sales: The number of Single Family home sales is the same in 2016 over 2015. The average sales price has gone up 6% in 2016 over 2015. The average number of days on market has gone from 261 days in 2015 down to 106 days in 2016. Condo and Multi Family Sales: Condo/ Multi Family sales are down 5% 2016 over 2015 due to reduced inventory. The average sales price has increased 4% in 2016 over 2015. Average days on market is down to a speedy 71 days! Land Sales: The number of lots sold in 2016 was 133, compared to 153 sold in 2015. The average price is down 10% in 2016 but this can easily be skewed by a big sale or two. There are not a lot of great lots left that are below 11,000 feet and are easily buildable. The average days on market was 710 days (not a typo) in 2015 but has dropped to 340 days in 2016. Total Sales for Summit County: It was a nice selling season this summer with solid residential sales numbers being posted. These are our best numbers since 2007. Residential sales in Summit County from January through August 2015 are up 16% over the same months in 2014. Average prices for 2015 are up 8% from the average price of residential sales in all of 2014. The average days on market for all sales is down to only 236 days. Only 4 months ago the average days on market was 313 days. In 2015, 114 properties sold for over $1,000,000, compared to 2014 which saw 84 properties sold for over $1,000,000. Based on the last list price of the properties sold January through August 2015…..
$200,000 to $400,000 is ALWAYS the hottest part of the market with 412 properties sold. $400,000 to $600,000 had 275 sales. $600,000 to $800,000 had 158 sales. $800,000 to $1,000,000 had 68 sales. $1,000,000 to $2,000,000 had 97 sales. $2,000,000 to $3,000,000 had 20 sales. And 5 properties sold for over $3,000,000 YTD, the highest sale was for $3,825,000. Single Family Sales: The number of Single Family home sales for January through August 2015 is up 15% over the same months in 2014. The average sales price has risen 9% in 2015 year to date over the average price of Single Family homes in all of 2014. The average days on market for Single Family homes is down to 236 days. Condo and Multi Family Sales: Condo/ Multi Family sales for January through August 2015 are up 16% over the same months in 2014. The average sales price is up 5% year to date in 2015 over the average Condo price in all of 2014. The average days on market for Condo/ Multi Family sales is down to 225 days. Total Sales for Summit County: The number of Summit County residential sales is up 16% for January through February 2015 over the same months in 2014. Average prices for 2015 are up almost 11% from the aver­age price of residential sales in all of 2014. The average days on market for all sales is up to 368 days. This indi­cates to me that there are a lot of over priced properties that eventually get sold when they reduce their price. A well priced property should sell in less than 6 months. This is a very strong start to the new year! About 44% of our Buyers are from the front range, 24% are local, 31% are out of state. 39% of transactions were cash in January which is a little low considering how low interest rates are. Inventory is down to only 723 listings countywide, and I am still very busy even though it is supposed to be off season. Based on the last list price of the properties sold January through February 2015…..
$200,000 to $400,000 is ALWAYS the hottest part of the market with 62 properties sold. $400,000 to $600,000 saw 33 solds. $600,000 to $800,000 saw 23 solds. $800,000 to $1,000,000 saw 16 solds. $1,000,000 to $2,000,000 saw 16 solds. $2,000,000 to $3,000,000 saw 4 solds. And no properties sold for over $3,000,000 YTD. Single Family Sales: The number of Single Family home sales for January through February 2015 is up 13% over the same months in 2014. The average sales price has risen 3% in 2015 year to date over the average price of Single Family homes in all of 2014. The average days on market for Single Family homes is 250 days. Condo and Multi Family Sales: Condo/ Multi Family sales for January through February 2015 are up 16% over the same months in 2014. The average sales price is up 15% year to date in 2015 over the average Condo price in all of 2014. The average days on market for Condo/ Multi Family sales is up to 410 days but this includes the days a property is on the market when it has previously been listed. To view my premium ad in Mountain Homes Il­lustrated (inside front cover), click here. To see my ad on the back cover of The Real Estate Book, click here. Give me a call today for a free market analysis of your property. Total Sales for Summit County: While the total number of residential inventory surpassed last year’s peak in August, it has since plummeted to about 1,200 properties for sale. Sales have been strong but now properties are being pulled from the market to be put in the rental pool. If you memorized my last newsletter (ha-ha!) you will see very similar numbers. The number of Summit County residential sales is still up 7% for January through October 2014 over the same months in 2013. Average prices for 2014 are up 4% from the average price of residential sales in all of 2013. The average days on market for all sales is down to only 222 days. October is the best month for the number of transactions in 2014 so far, with 207 solds county wide. Over all, we are looking pretty stable without a lot of change. Single Family Sales: The number of Single Family home sales for January through October 2014 is only down 3% over the same months in 2013. The average sales price has risen 7% in 2014 year to date over the average price of Single Family homes in all of 2013. The average days on market for Single Family homes is down to 235 days. Condo and Multi Family Sales: Condo/ Multi Family sales for January through October 2014 are up 12% over the same months in 2013. The average sales price is up 6% year to date in 2014 over the average Condo price in all of 2013. The average days on market for Condo/ Multi Family sales is down to 218 days. Things are looking good in Summit County! Not only do we have excellent snow totals, but bookings are up 12% (which makes a second improved year in a row for rentals), retail is up roughly 15%, and real estate over all is on a positive trend. I hope you and your family have the opportunity to escape to the high country to enjoy everything we have to offer! Total Sales for Summit County: Summit County sales are up 16% for 2013 over 2012, and September was our strongest month with a 59% increase over September 2012. November 2013 was down 10%, and December 2013 down 15% over the same months 2012. Average prices for 2013 are down about 4% from the average prices of 2012. While this might not sound exciting to sellers, I can give you plenty of examples of specific complexes that are up 15% to 20% above their bottom recession price. Give me a call if you want to know what is going on in your neighborhood specifically —it is likely to be good news. For 2013, 40% of Summit County sales are in the Breckenridge area, and 40% of buyers are from the front range. Single Family Sales: The number of Single family home sales are the same in 2013 over 2012. The average sales price has dropped about 3% in 2013 year to date. I would like to add my opinion that we have cleaned up some pretty rough inventory in 2013. Condo and Multi Family Sales: Condo/ multi family sales are up 24% 2013 over 2012. The average sales price has increased about 3% in 2013 over 2012. Condo/multi family is the bulk of our market, so this is a great trend! Foreclosures: In 2013 we only had 47 foreclosures compared to 87 foreclosures in 2012, 145 foreclosures in 2011, 104 foreclosures in 2010, and 47 foreclosures in 2009. We have almost reached pre-recession levels. In other Summit News: The New Peak 6 Trail Map is here! Breckenridge has had a ridiculous amount of early snow…the ski resort is reporting over 150 inches for this season so far. Ullrfest is January 5-11, the International Snow Sculpture Championships are January 21 through February 2, and our Mardis Gras celebrations are from March 1- 4. There are so many great events at all of the local mountain communities that I can’t list them all! To see my premium ad in Mountain Homes Illustrated on the inside front cover click here. To see my ad on the back cover of The Real Estate Book, click here. Inventory is down but there are still plenty of buyers so it is a good time to list your property. Give me a call for a free market analysis. The market is going up and down month by month, but prices are mostly stable and condo sales are still up. Prices have been flat for the last 2 years so it will be interesting to see when they will start inching up again, especially since we haven’t had a great deal of inventory for the last 2 years. **Some complexes are seeing over 20% increases in prices but it really depends. Give me a call if you would like to know what the average prices are doing in a specific complex or neighborhood. Total Sales for Summit County: Total residential property sales for January through June 2013 are up 15% over the same period in 2012. The average price is down only about 3%. Single Family Homes: Single family home sales in May 2013 were slightly up from May 2012. June 2013 is down about 28% in transactions from June 2012. This June is also down 38% from this May which is a little unusual. In the big picture of January through June 2013, we are down 7% for single family home sales from the same time period last year. The average price is up about 4% over last year. Condos/ Multi-Family: Condo sales were about the same this year from May to June, but this June was up 38% over June 2012. January through June 2013 over 2012, we are up 29%! The average sales price is almost the same as last year. 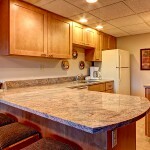 Foreclosures: In January through June 2013 we only have 28 properties foreclosed on (not including timeshares). That is a 35% decrease over the same time period last year! In other Summit News: Nearly 40% of all summit County transactions were closed for cash. 41% of Summit County purchasers are from the Front Range. May was the best real estate month in Summit in 2013 so far. Check out my ads on the E-Book version of Mtn Homes Illustrated. I am still on the inside front cover. I am also on the back cover of every other issue of The Real Estate Book . 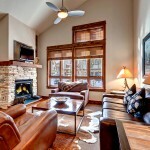 Breckenridge Mountain Real Estate specializes in personalized service and attention to detail which results in success! I would love to speak to you about your real estate needs! Don’t forget to stop by! Selling your House? Why you should do it NOW! You may be tempted to hold on to your property until home values rise, but here are 5 reasons why it might be smarter for you to sell right now. 1) Interest rates are on the rise. Rising interest rates eat into the buyer’s purchasing power. As rates increase, the mortgage amount a buyer qualifies for decreases. This will eventually have a negative effect on prices. 2) Your Dream Home will never be cheaper. 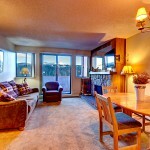 You have a fabulous selection of replacement homes right now! Prices are projected to continue to soften in most markets. If you are a buyer, COST should be more important than PRICE. The cost of owning a home is increasing as mortgage rates go up. If you are waiting for your current property to increase in value, how much will you be losing as your costs go up? Do the math and decide if now is the time. 3) Buyers are coming out early. As buyers see improvements in the market and rising mortgage rates, they have started the buying season early. The time to take advantage of the early birds is now. 4) Inventory increases every spring. Summit County has a huge surge of inventory every spring that peaks towards the end of August. There is pent up selling demand created by the weak market of the last few years. Sell earlier and take advantage of having less competition or sell during the height of the selling season. 5) The foreclosure storm. Foreclosures are direct competition for your house. Experts predict an release of bank owned properties which have been so far been delayed. 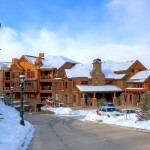 Hopefully Summit County real estate will not be effected by this as much as other markets. The bottom line. Give me a call today if you have questions about our market, real estate values, your neighborhood, or the value of your property. I can help you decide what the best options are for you and your family. 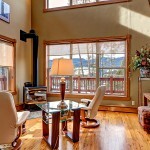 By ErikaSchmidt|2011-05-15T15:24:19+00:00May 15th, 2011|Summit County News|Comments Off on Selling your House? Why you should do it NOW!